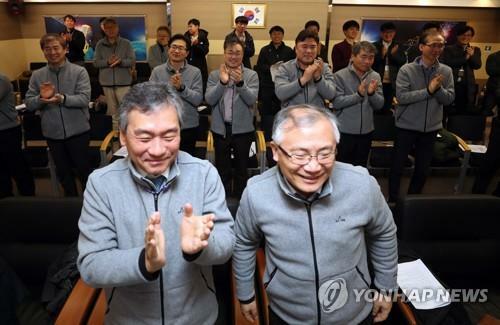 SEOUL, Dec. 5 (Yonhap) — South Korea’s first indigenous geostationary weather satellite, the Chollian-2A, intended to enhance the country’s weather monitoring system, successfully made initial contact with a ground station after blasting off from a space center in French Guiana, the government in Seoul said Wednesday. The multipurpose satellite, also known as GEO-KOMPSAT-2A, lifted off aboard a launch vehicle made by Arianespace from the Guiana Space Center at Kourou at 5:37 a.m., according to the Ministry of Science and ICT. The satellite, developed by the Korea Aerospace Research Institute (KARI), is one of two follow-up satellites to the Chollian-1, the country’s first geostationary satellite, launched in June 2010. The ministry and KARI said the Chollian-2A reached its transfer orbit about 25 minutes after the launch, followed by signals being received at the satellite station in Dongara, Australia, in about five minutes. 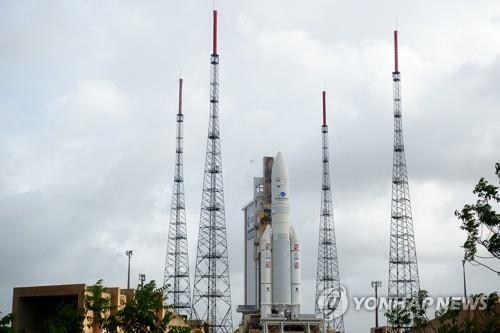 The ministry said it will closely monitor the satellite that will elevate its altitude in the coming weeks before arriving at its target geostationary orbit in about a month’s time. The launch comes 7 1/2 years after KARI began developing the country’s first geostationary satellite with entirely local technology. The Chollian-2A will run test operations for six months before providing a weather information service in July for the next 10 years, officials said. While the first Chollian was designed for oceanography and meteorological observation and may fall short in terms of the quality of the images it sends back compared with newer satellites, the Chollian-2A can provide images with much higher resolution and is built with a greatly faster download speed, the ICT ministry said. The ministry predicts the new satellite will be able to gather weather images related to fine dust particles that are four times clearer than its predecessor, as well as collecting other information. The satellite will also deliver the data 18 times faster. The Chollian-2A contains a state-of-the-art meteorological imaging system that is as advanced as other foreign geostationary satellites, such as GOES-17 of the United States and Japan’s Himawari 9. The ministry, meanwhile, said Chollian-2B is scheduled to be launched next year at the same site. 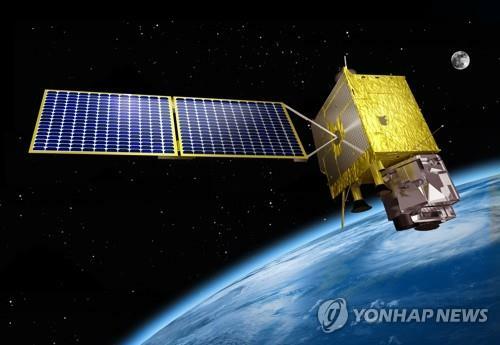 Its mission will be to monitor the oceans and atmosphere surrounding the Korean Peninsula.